In summary: New York City had a life of it’s own in my head. In early August, I visited there for the first time. On the first afternoon we visited Central Park and were there for hours, despite the jet lag. We started our first full day with a tour of the Intrepid and the Space Shuttle Enterprise. 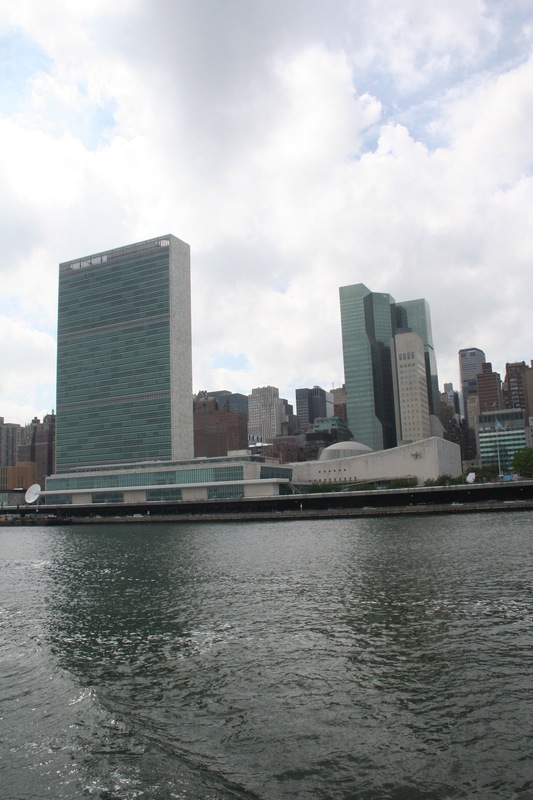 Next was the full cruise (two and a half hours plus) around Manhattan – south down the Hudson River and into the Upper Harbor off the tip of Manhattan and up the East River under the “BMW” bridges. 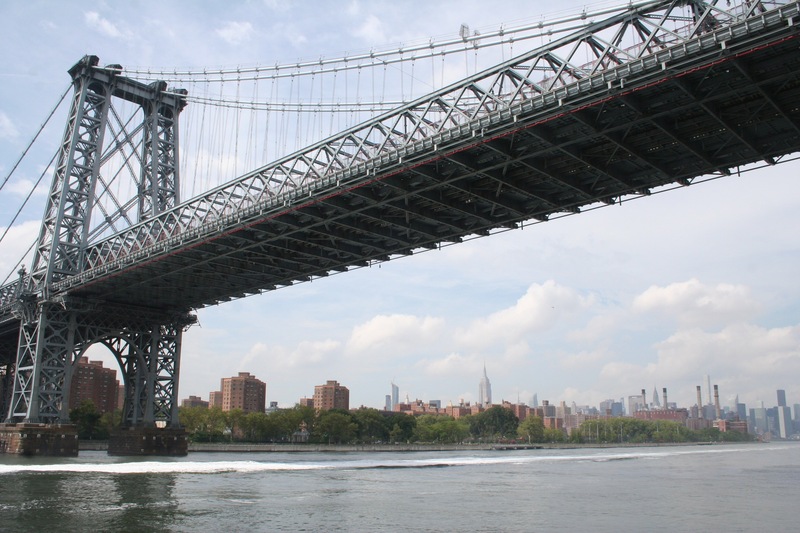 When last we saw our intrepid heroes (and a few hundred of their fellow tourists) we had passed under the Brooklyn and Manhattan Bridges and were approaching the Williamsburg Bridge. Here we’re just getting ready to go under, with mid-town Manhattan off in the distance. The mid-town Manhattan skyline is dominated by the Empire State Building (at the left) but it’s getting more and more competition. 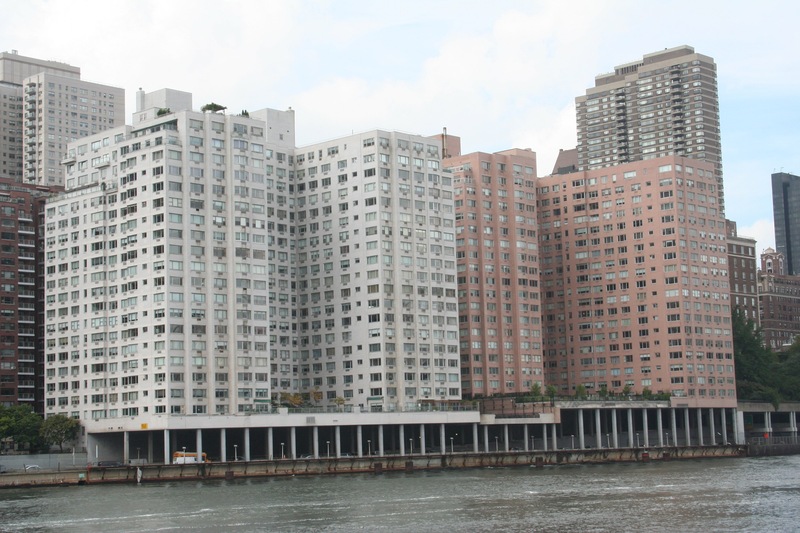 High-rise apartment buildings, such as Waterside Plaza, line the East River. I didn’t do any research, but my guess would be that these apartments are cheaper than Central Park South, but still far more expensive than Brooklyn or the Bronx. 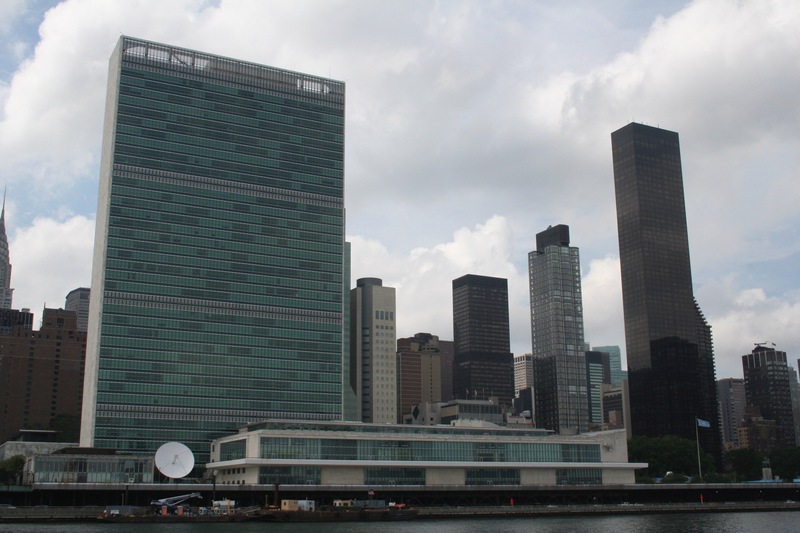 We wanted to go visit the UN, but it seems that’s one of the places where you need to book a tour several weeks in advance. We didn’t. Live and learn, something for the next trip. 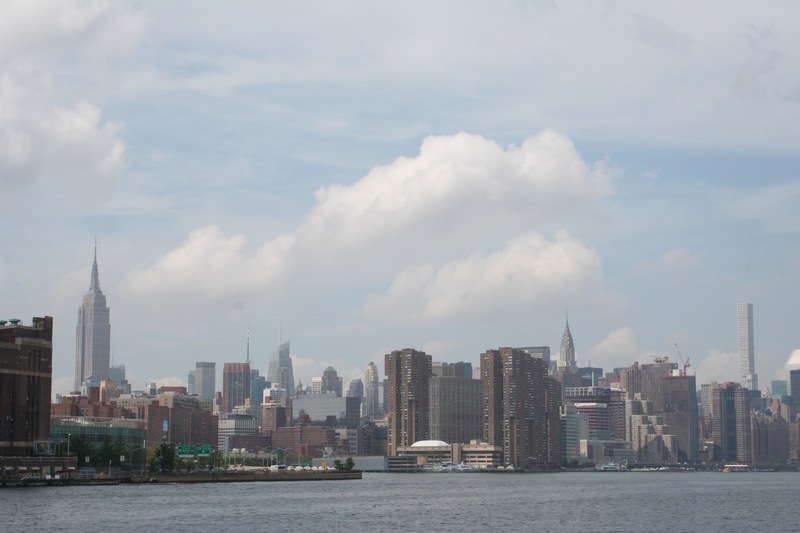 Manhattan Island has some of the highest real estate values in the world. One consequence of this is things like this, where FDR Drive travels along the east shoreline of Manhattan. 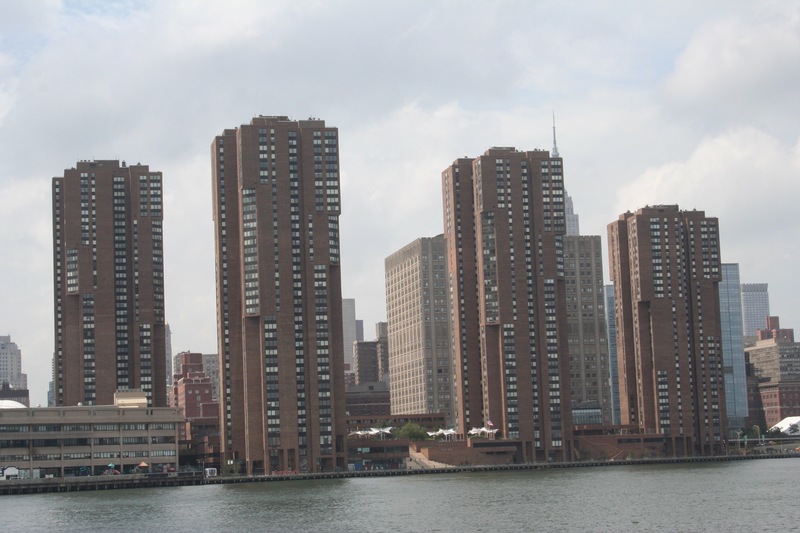 I don’t know if these buildings were there first (at the end of East 56th Street) and FDR Drive got built underneath them, or if FDR Drive was there first and the buildings got built over them. But for about five blocks here, the two overlap, at least on the vertical axis. The Ed Koch Queensboro Bridge is the one that we used to first enter Manhattan when we arrived and it seemed to be the one we used the most getting onto and off of the island. At its west end it empties right onto 59th Street or 60th Street and we were staying on 59th Street (which turns into Central Park South), so that might have something to do with it. 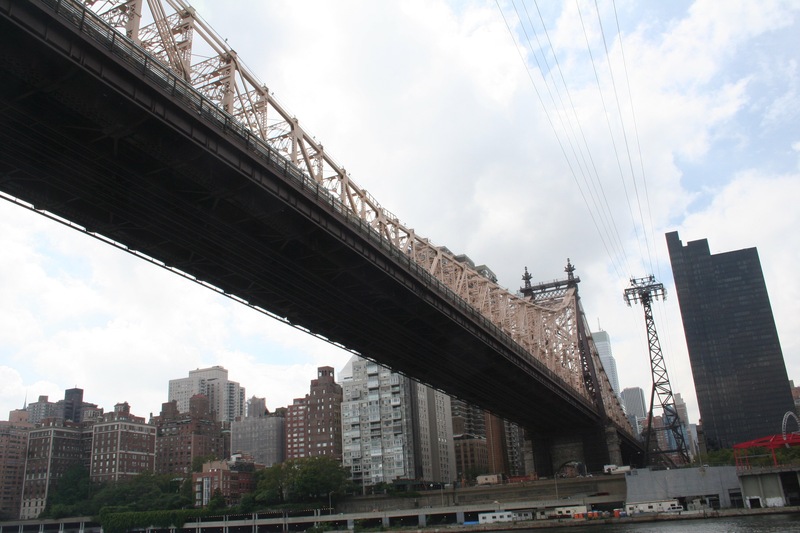 I also think one of the reasons I kept noticing was the Roosevelt Island Tram structure and wires passing above. Another thing we didn’t do and a place we didn’t get to on this trip. 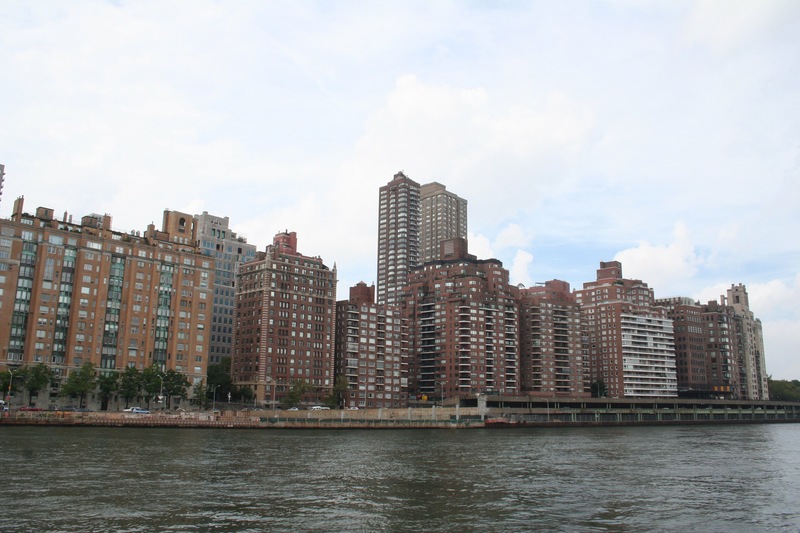 The quantity and density of high-rise apartments along the East River is truly impressive. I’m sure that there are places such as Hong Kong and Tokyo that are even more crowded – but there aren’t many such places. Just north of Roosevelt Island, the East River (which you will recall is not really a river, but actually a navigable tidal estuary) is joined by the Harlem River. Guess what? The Harlem River isn’t a river either, but a combination of a ship canal, another tidal estuary and a small creek. It’s all been dredged and rebuilt and widened and re-directed several times over the past three hundred years or so, so now it’s all just referred to as the Harlem River. When the Harlem River and the East River come together there can be some serious tides and tidal currents. 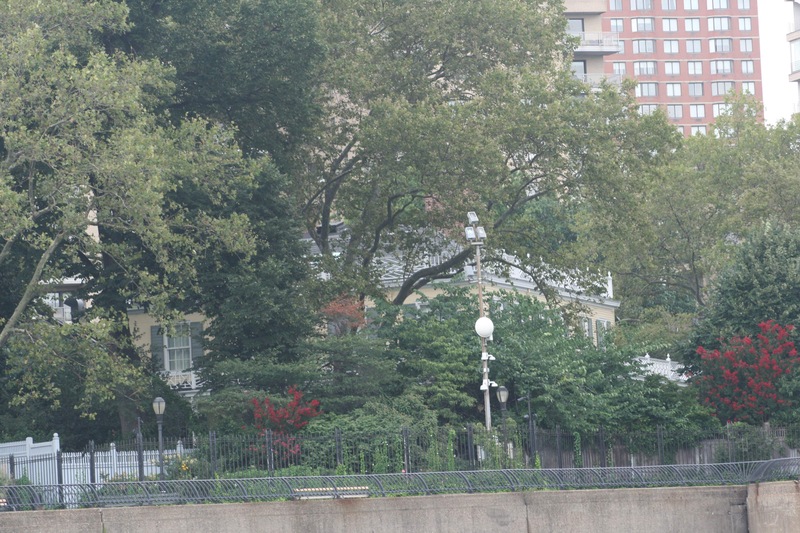 On Manhattan at that point you can just barely see Gracie Mansion through the trees. It’s the official residence of the Mayor of New York. Next, we head up the Harlem River.